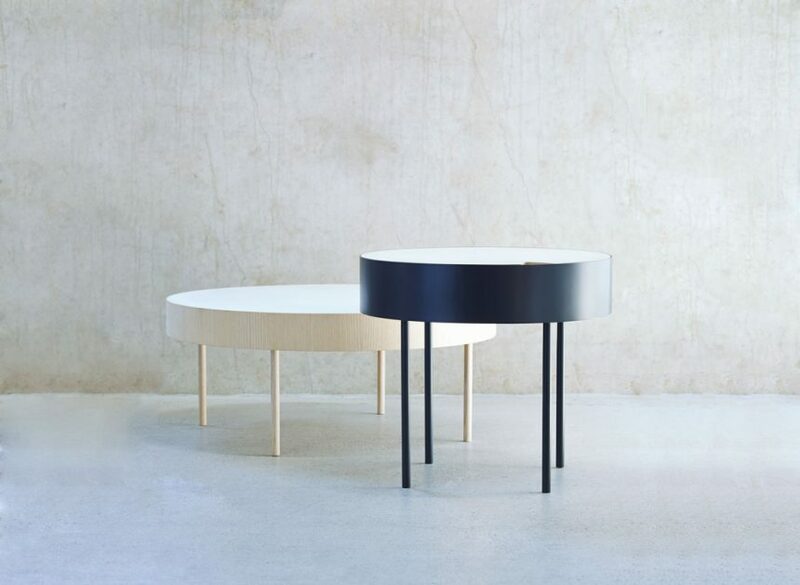 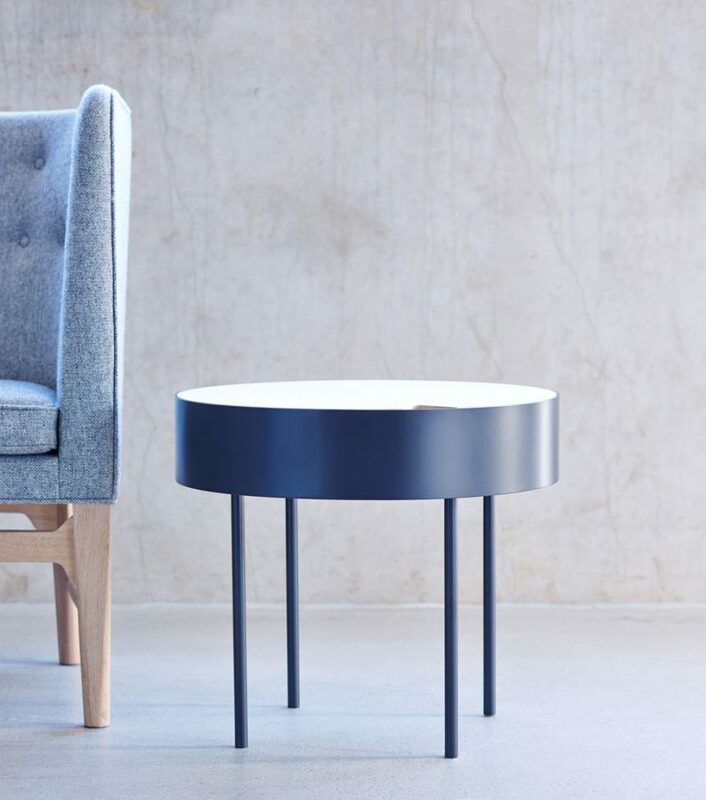 The side tables CIRKEL play with materials, colours and proportions: Bright colored wood interplays with white and black metal, slim, linear legs contrast with a voluminous table top. 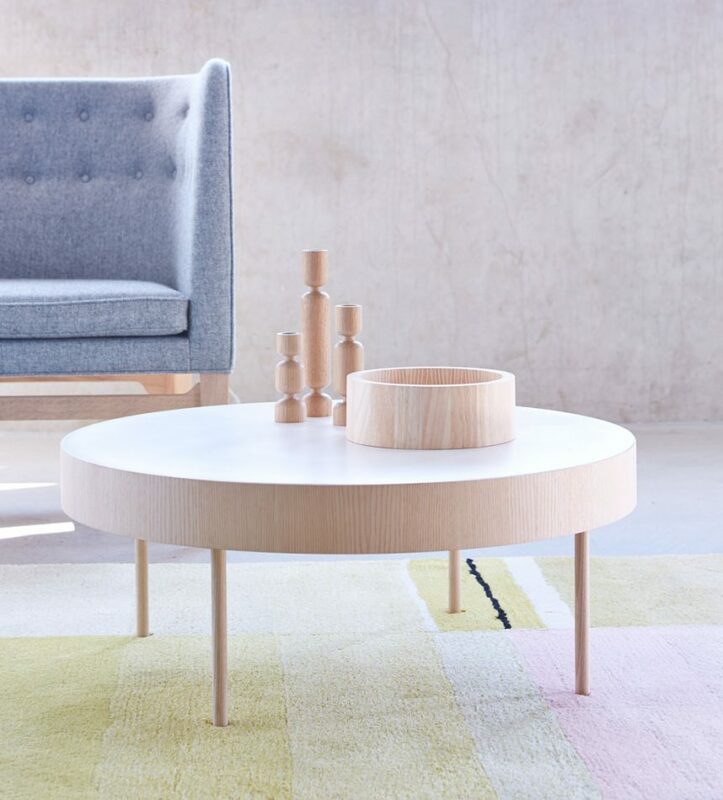 The taller table can be opened and used for storage. 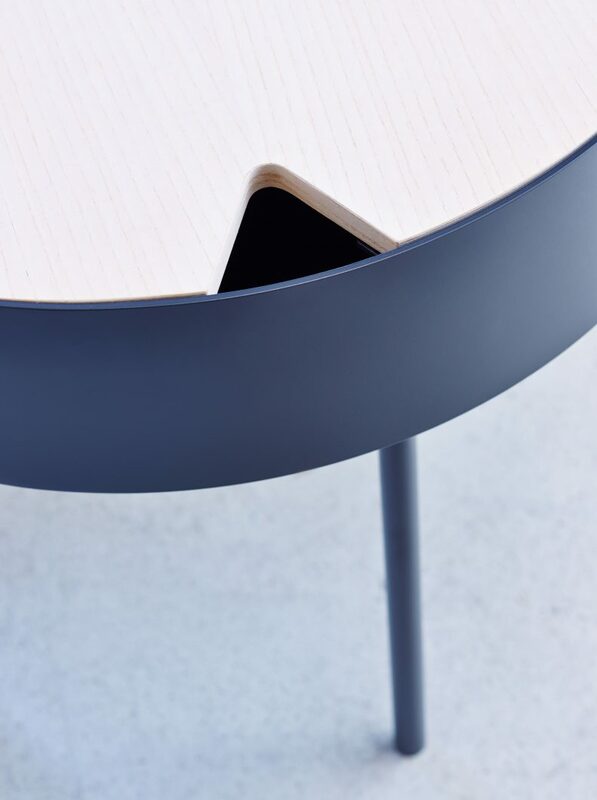 The Tables have a puristic, silent but playful nature.